In Last Day on Earth, when looking at your map, areas are sorted into Zones. 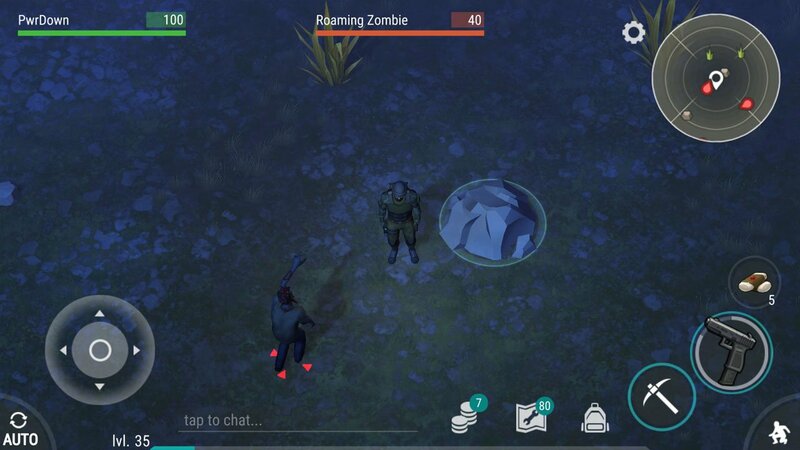 There is a Green Zone, which is easy to clear and loot, yellow which is medium difficulty and red which is hard. At the moment, there are 2 areas in Last Day on Earth that fall within the green zone. 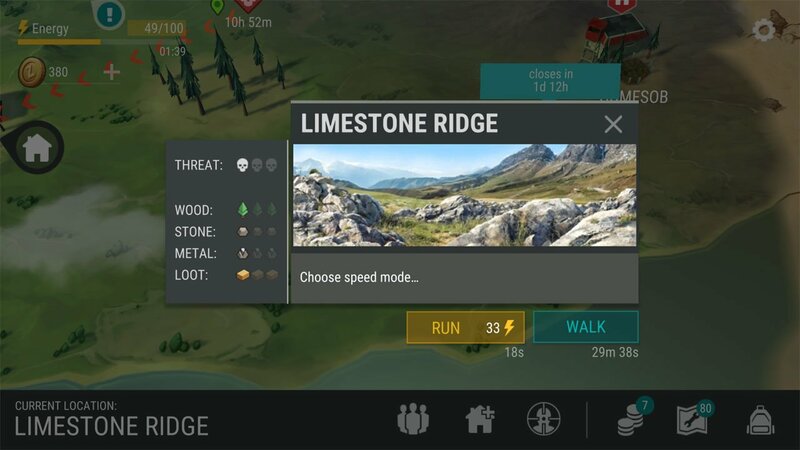 They are Limestone Ridge (rocks & iron) and Pine Bushes (wood). 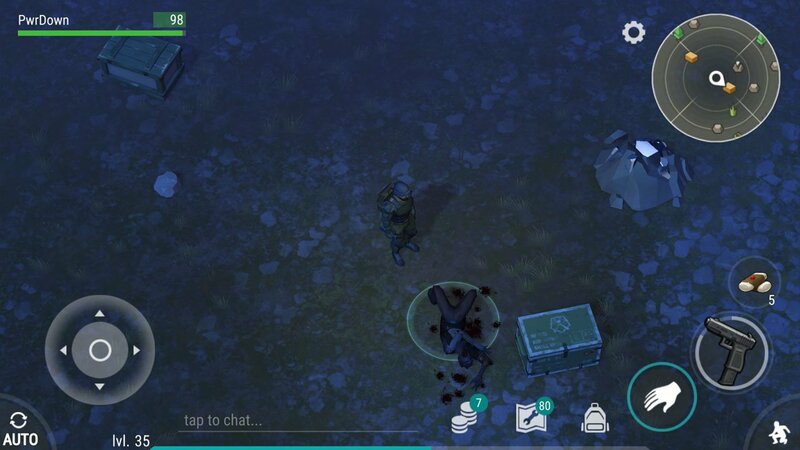 Want free coins in Last Day on Earth? If you're an Android or iOS User, you can use AppKarma. AppKarma pays you in points to play free games on your mobile phone. You can then exchange these points for Cash, Steam, Xbox Gift Cards or iTunes & Google Play cards to get free Last Day on Earth Coins or other cash! By using the link above, you will also get 500 Bonus Points just for signing up! You can also use our refferer code 'PwrDown' to get 500 points in-app. Compared to Yellow Zones, the Green Zones are the safest ones. 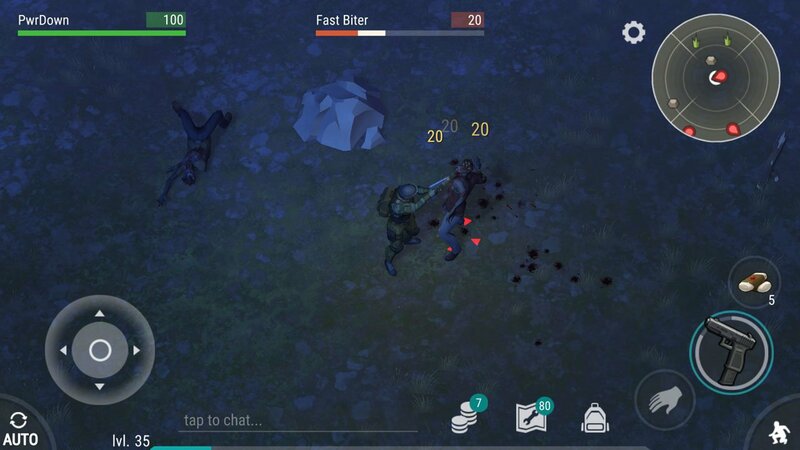 Most of the Zombies that you encounter will be ‘Roaming Zombies’, which have 40HP and move slowly. They are very easy to kill, even at the lower levels. You can use the sneak function to one shot them usually. However you may come across the occasional Fast Biters, which will run at you and have 80HP. Ideally, you should only come across one or two Fast Biters in a Green Zone. 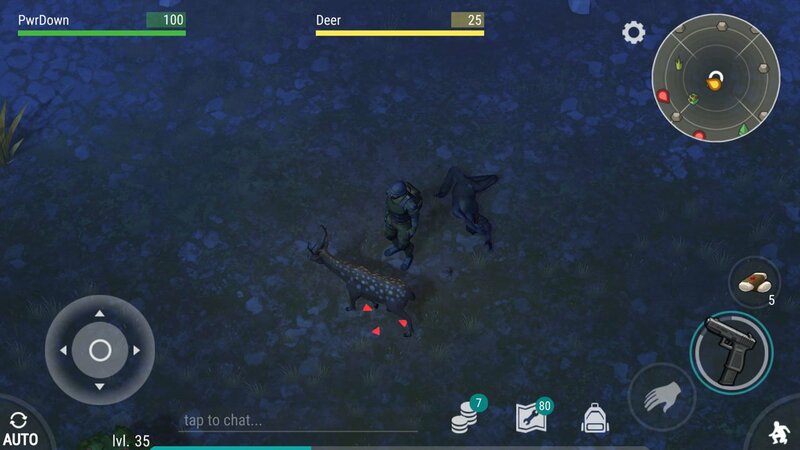 As well as Zombies, you will come across a lot of Deer. 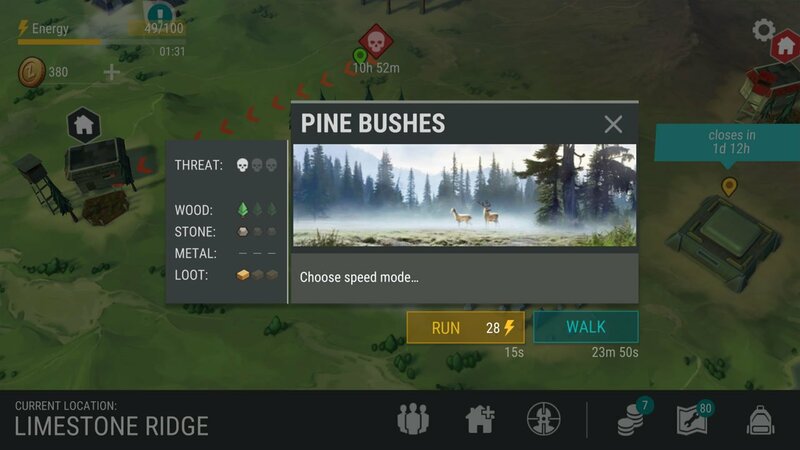 Deer can only be killed with ranged weapons, or by sneaking up to them with a melee weapon. They don’t fight back, and will run away if you approach them. Compared to Yellow and Red Zones, resources are a lot more scarce in the Green Zone. Rocks and Trees are more scattered, with less around. Finally, when it comes to loot, you will find a few containers or baggage items. 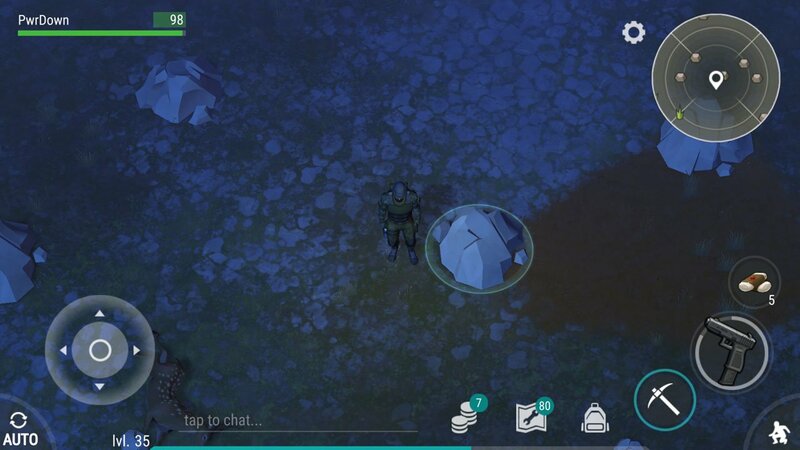 In Green Zones, you can usually expect to find around 3 loot containers.